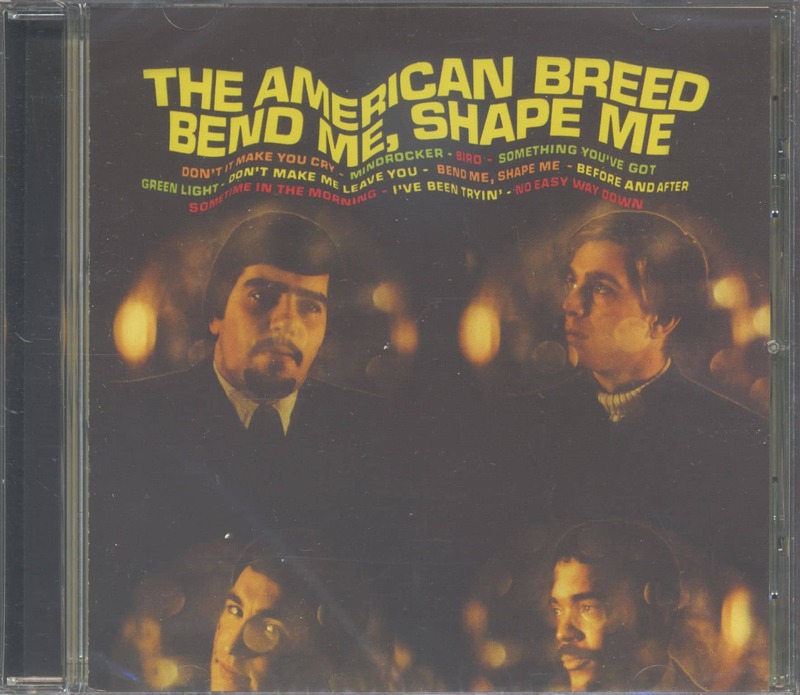 The American Breed formed in Chicago in 1966 — Gary Loizzo, vocals and guitar (born Aug. 16, 1945); Chuck Colbert, bass (Aug. 29, 1944); Al Ciner, guitar (May 14, 1947) and Lee Graziano, drums (Nov. 9, 1943) — and had five chart records in the years 1967-8, all produced by Bill Traut of Dunwich Productions. Originally called Gary and the Nite Lights, the group had a soul-influenced sound, best presented in their biggest hit 'Bend Me, Shape Me' (Acta) which reached No. 5 in America in 1967. Other hits included their first, 'Step Out Of Your Mind' (No. 24) and 'Green Light' (a No. 39 in 1968). After several personnel changes, the group evolved into Rufus. 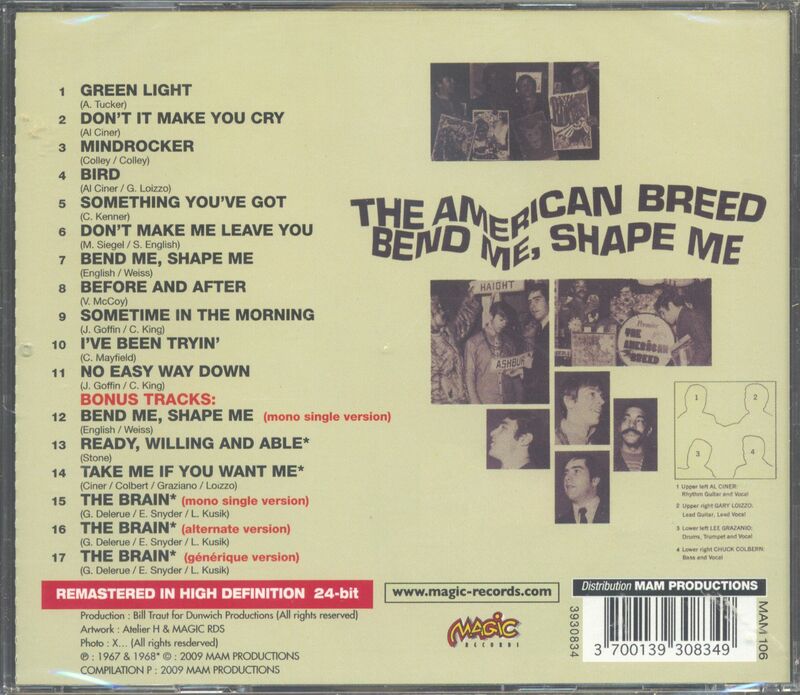 Customer evaluation for "Bend Me, Shape Me (CD)"